the scoreboard - Welcome to Subbuteostadium! 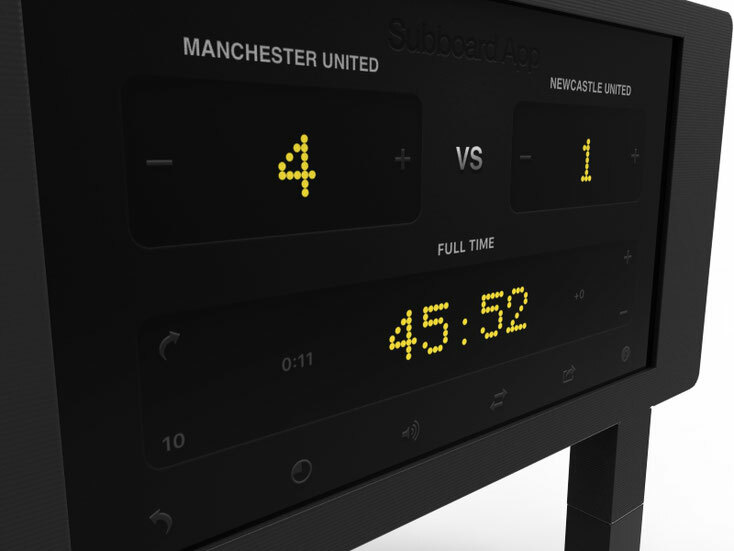 This is the only Scoreboard you need for your Subbuteo or other table football games. Download a scoreboard app, click in your Iphone 4, 5, 6, 7, 8 or X and you are ready to go in just seconds. Play the hymne of the national teams, display the line-ups, hear the stadium noise! Use it as a widescreen in your stadium. The possibilities are endless! We recommand the Subboard app for your scoreboard.